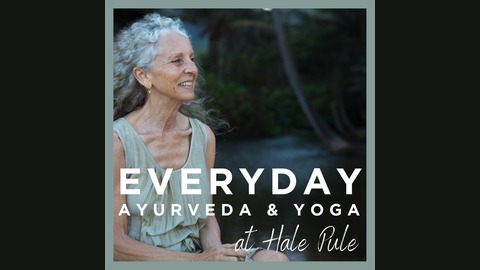 Everyday Ayurveda and Yoga at Hale Pule is a remarkable podcast on holistic healing brought to you by Myra Lewin, master yogini and Ayurvedic practitioner. Yoga and Ayurveda are designed to work together to create greater peace and well-being in our lives. Yoga practiced with an Ayurvedic foundation initiates deep and lasting transformation. 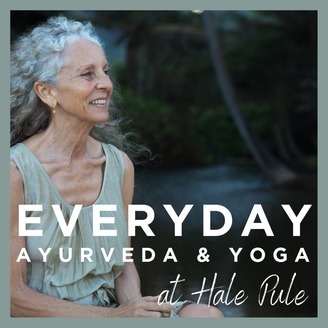 Ayurveda's healing potential is greatly amplified by regular Yoga practice. Tune in each month as Myra shares her perspective on the timeless wisdom that defines these ancient sciences. A thoughtful, intuitive teacher and a true healer, Myra will guide you to connect to your spirit, to your heart, to the sacred space inside where you’ll find peace, truth and clarity. Asteya means non-stealing. When we fail to concentrate on the task at hand, when we allow our thoughts to drift to the future or the past, when we don't bother to finish what we have started - we are stealing from ourselves. We are robbing ourselves of the richness of the present moment, and of life's little miracles. In this episode Myra highlights the importance of developing the power of concentration, and offers tools to sharpen our focus so that we may truly savor life and put our energy where it really matters.